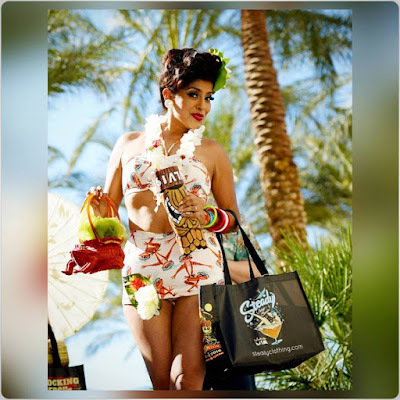 The Pinup Press: Interview with Miss Viva Las Vegas 19! 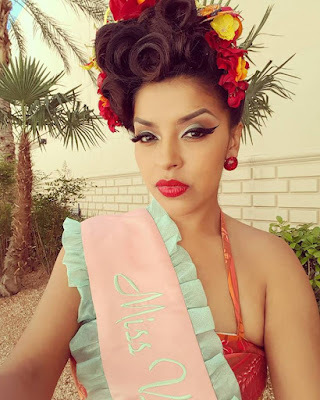 I recently caught up with pinup Little Bit this year's winner of the Miss Viva Las Vegas Pinup contest! I'm extremely thrilled that my favorite pinup won the contest! Seriously, follow her on instagram - her makeup is awesome but so is her personality, too! 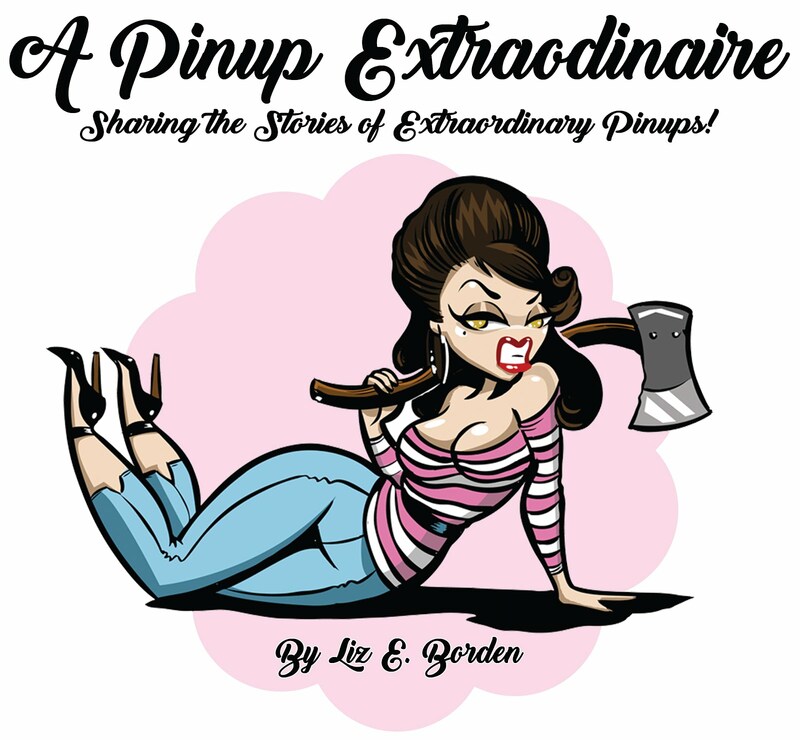 If you're not familiar with Little Bit (or even if you are) scroll down to learn more about this extraordinary pinup! Q: There were several ups and downs this year even right before the show. How awesome is it to be Miss Viva Las Vegas? A: It is still unbelievable to say I am Miss Viva Las Vegas 19. There were so many great ladies in the contest. Some were friends and I am glad I was able to make new friends. 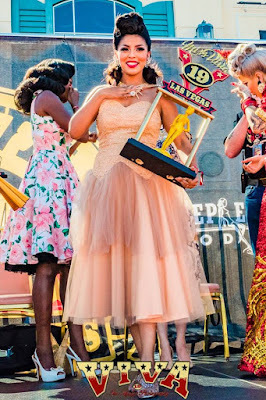 That is what makes Miss Viva Las Vegas the most coveted Pinup contest. The Pinup/ Rockabilly culture is international. Viva Las Vegas brings that entire community together and having my name attached to that is humbling. To have the opportunity to represent that community in a positive / encouraging way is what I've always wanted to do. The women in this years contest all had inspirational stories and empowering in their own way. I will always be grateful and humbled. The week leading up to viva was by far the most stressful. I had work deadlines, personal deadlines, and the wardrobe malfunctions that had me in tears. I can laugh at it now, but I was a mess. Q: How long have you been modeling and/or participating in pinup contests? When did you start? Q: As a person who campaigns against bullying, and having faced many adversaries yourself, what advice do you have for others with challenges? A: I have faced many instances of bullying. I learned along the way, by acknowledging them. I'm feeding that negativity. The best advice I can give to ladies that have experienced bullying is by surrounding yourself with positive people. People that will lift your spirit, for me. It was my Daughter and Husband. They have been my biggest supporters. Shortly after the first pinup contest I did I started getting hate mail. It was relentless and hurtful. I wanted to QUIT so badly because I didn't want to continue exposing myself to that negativity. My daughter was also going through some bullying instances at school and asked me for advice. I told her to surround herself with positive energy and people. Which as a teenager is difficult, but not impossible. What she told me next is what keeps me going. She told me that I was her motivation. It hit me right there and then. If I quit and gave up on my goals because of the negativity. What sort of example would I be setting for her? What would that teach her? With that thought I continued entering contests and doing photo-shoots. Q: When will you please, please, please do a makeup tutorial? A: I am working on it now so keep an eye peeled....this is my first video ever so please be kind lol there is always room for improvement. Keep an eye on my IG @pinuplittlebit, YouTube channel, and website.